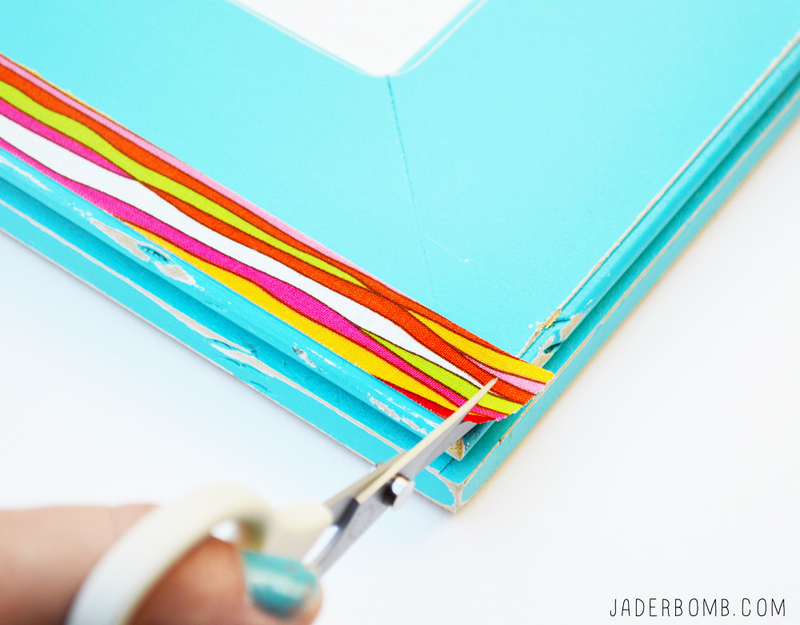 Howdy Jaderbugs today I will show you how to make the coolest duck tape frame! 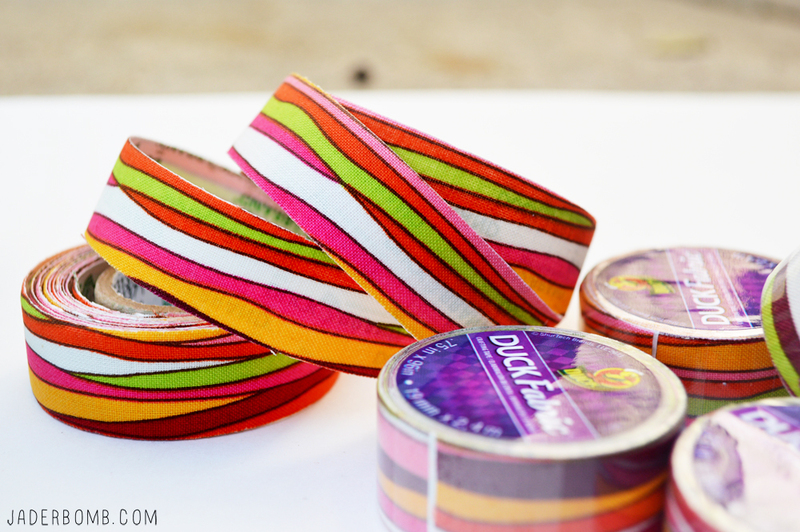 I do a duck tape post each month and we all know if I could wrap myself in duck tape I would! Especially all of their new designs. 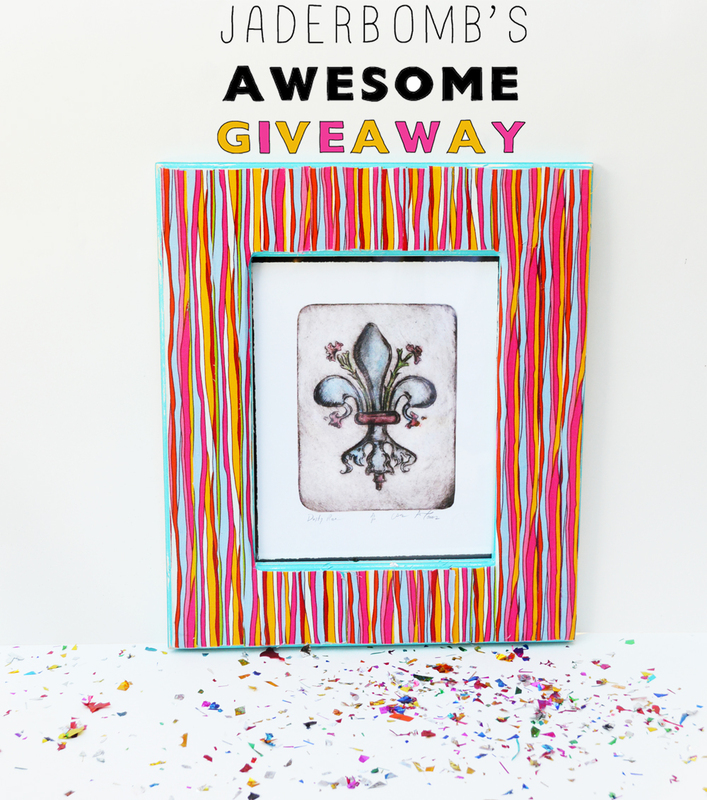 I love duck tape because I can transform things in my home within minutes like this frame! Don’t forget to enter my giveaway at the bottom of the post! 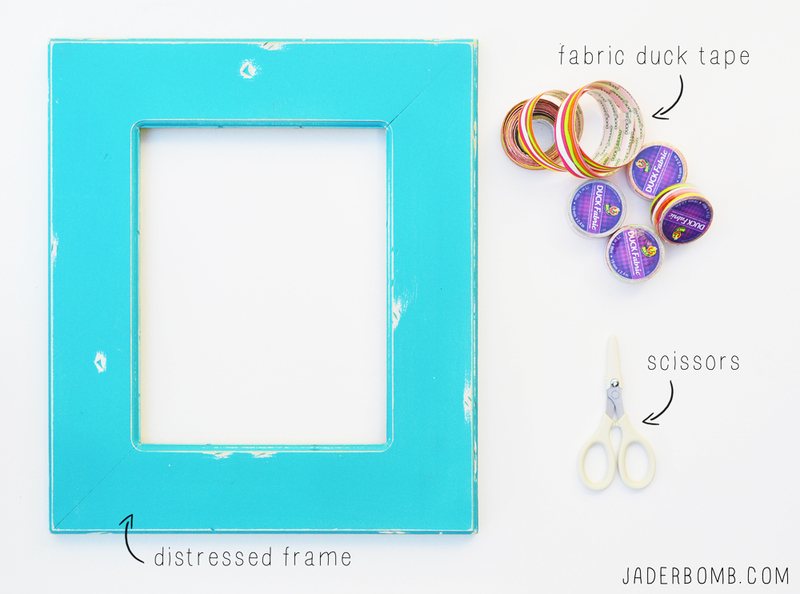 Today I will show you an easy way to dress up a frame using the Duck Brand’s new DUCK FABRIC mini rolls. 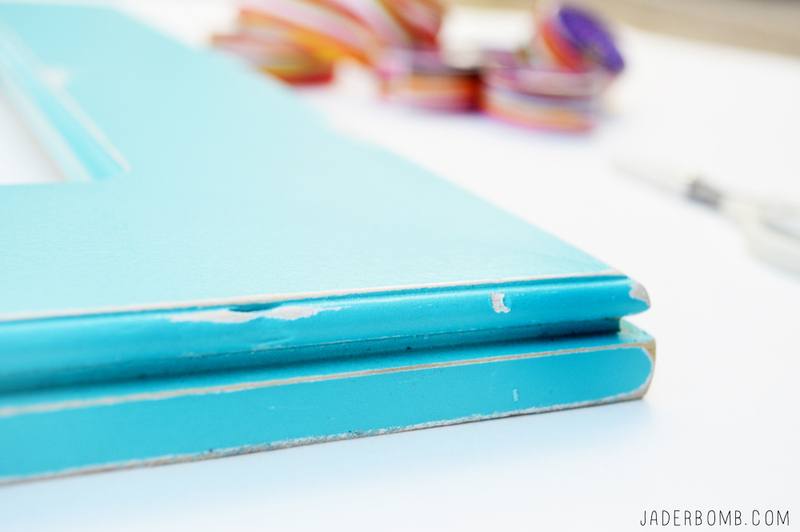 The design I am using in this tutorial is Coral Stripe. I am completely in love with the colors and the pattern. I believe this could go in anyone’s space very easily. 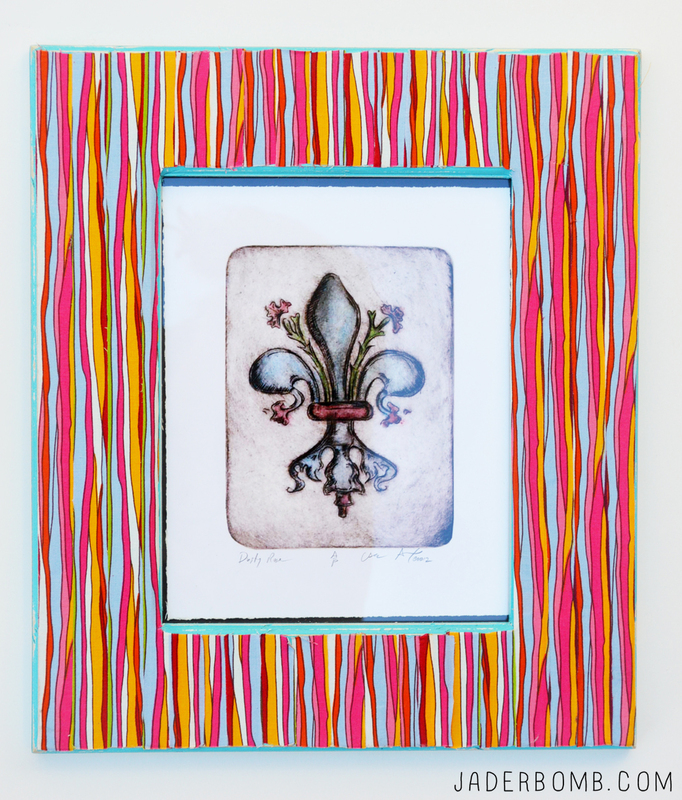 Candice Alexander who is a famous artist and is known for her Fleur De Lis – World’s Within Series. You can find her beautiful work online where you will be stumped with ton’s of decisions to make. 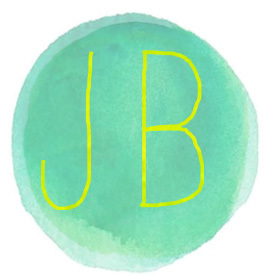 Everything on her website is locally made at her studio in Lake Charles, La. That alone is a nice treat! Did I mention she recently got commisioned to do a piece for Keith Urban and personally gave it to him? Check it out HERE! *Frame of choice. I like using a distressed frame so the edges show a little character. Step ONE: Cut a piece of tape that is long enough to hang off both ends of the frame. Step TWO: Peel the backing off of your fabric tape. Make sure to do it carefully so it does not stick to the other end of the tape. Using a distressed frame gives the sides some texture also. How awesome is this print! You can do so much with it aside from making a wallet! These designs are screaming for any adult to play with them! Scouts HONOR! (hehe) Step THREE: Cut all the of the tape that hangs over the edge of frame. I really love the look of this frame and it’s so easy to create. 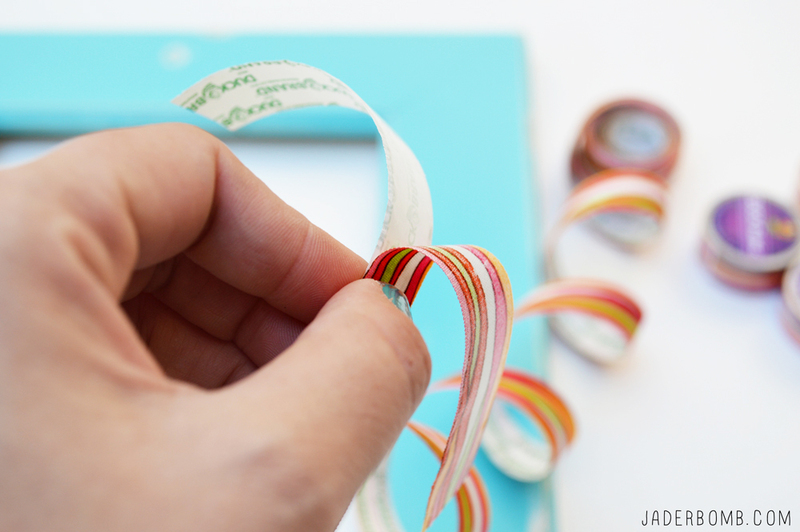 The good news is this fabric tape can be pulled off when you are tired of it and you can put another design down. MAGICAL! I hope you enjoyed this tutorial and good luck with the giveaway!!!! Don’t forget it ends on the 7th! I like the blue pin dot duck fabric! I love the blue pin dot fabric too!!! Totally cute frame. I might have to give this a try. Mary I know you will love it!!! 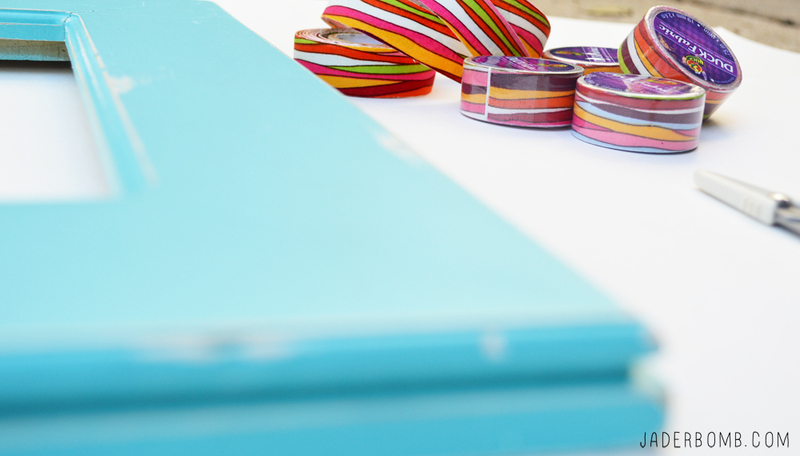 I love the coral stripe fabric tape!! Awesome! I love the coral stripe! It’s awesome! The blue pin dot is just the cutest! the coral stripes are fun! I want my designs on Duck Tape then I could truly pick a fave. Until then, I am going with the pickles. I like the print used in this tutorial!!! Beautiful frame! Wonderful artist! Hope I win!